A space where designers can share a work in progress without revealing the entire piece. This space creates an opportunity for anybody “to peek over the shoulder of your colleagues as they are working,” offering a great source of education, collaboration, and inspiration. Now, Dribbble is not only one of the biggest and most popular design-centered online communities, but also a marketplace for goods, customizable portfolio location, job-seeking platform, and muc h more. However, Dribbble is not the only platform of its kind. There are many very similar communities where designers and creatives can share their work with the public at large or with other creatives. So let’s see what features have been brought together to make it as successful as we know it today. Anybody can join the site as a “prospect” and do basic activities, such as creating an account and browsing and liking images uploaded by others. However, to start uploading images, you must be invited by an existing user, or “player.” Players get a limited number of invites that they can use to “draft” prospects. Being by nature an exclusive community as a result of being invite-only, many users have expressed displeasure and complained of unfairness. As mentioned above, a newly-registered user is listed as a “prospect,” and a prospect can only start posting projects after they receive an invitation from a player. Many users felt blindsided by this process because it exudes a sense of elitism. Despite these complaints, the scarcity of invites has had a “positive effect on the quality of shots being uploaded,” the founders state. An additional restriction is that designers and other creatives can only upload a maximum of 24 shots per month, which further controls the quality of the content, prevents spamming, and makes designers be a bit more selective in what they upload. Dribbble features a simple top-nav interface. Top shots are presented on the landing page showing the best content that the site has to offer. After signing up as a prospect, a user can follow designers and artists they like. In this case, every time a user logs in, they are going to see a curated feed of their followed players’ work. All content is organized into five simple tabs: Shots, Designers, Teams, Community, and Jobs. By default, Shots are sorted by popularity, which is based on number of likes, comments, and views. The Designers tab displays shots that belong to the same person or group, while Teams groups shots by team. Different types of activities, such as meetups, podcast, and blog, are combined together under Community. The Jobs tab allows players to search for open positions and provides companies a space to post job opportunities. Everything else that does not fall under one of these umbrellas is hidden inside the three dots icon. Clicking on the Shots tab will allow a user, prospect, or player to go deeper and be more specific in their search query. A user can filter shots by type: debuts, playoffs, team shots, rebounds, and animated GIFs; popularity: recent, most viewed, and most commented; as well as time: now, this past week, and this past month. These kinds of filters accommodate designers’ and creatives’ — or anybody who is looking for inspiration’s — needs. The Designers tab is great for companies who are looking to hire someone through Dribbble. They can browse designers according to a number of criteria, including the skills they have, where they’re located, their availability, their experience level, and even number of followers. 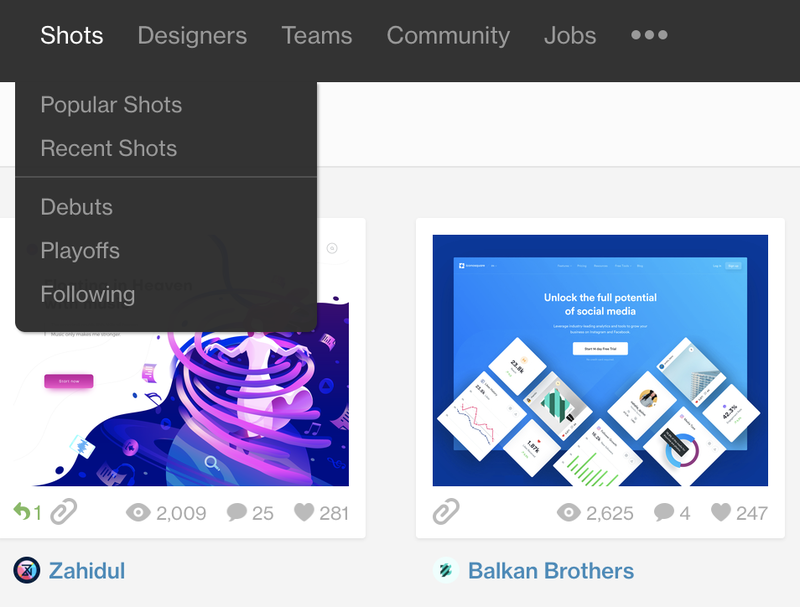 One of the latest additions to Dribbble is the “teams” feature. 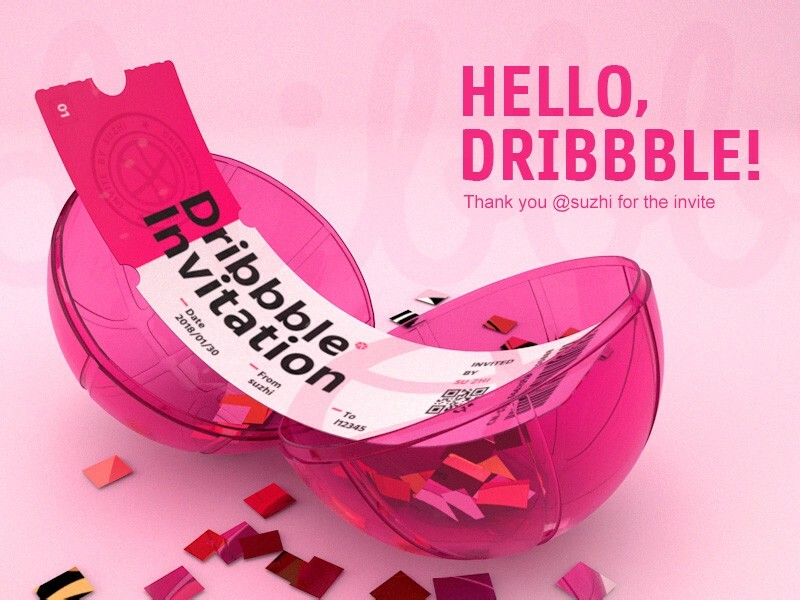 It helps organizations and their designers share work on Dribbble together. This new feature allows projects to be uploaded to the individual designer’s profile as well as to the team’s profile. All the personal tabs, such as Profile Information, Messages, and Notifications, can be found at the top right c orner. This is also where players go to upload a file. 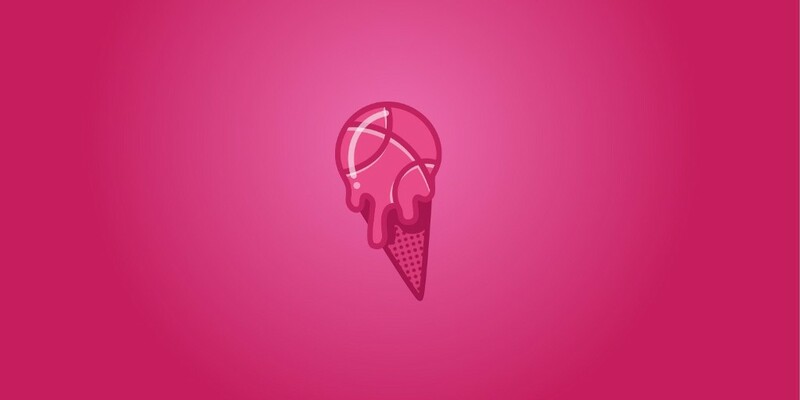 Uploading a shot to Dribbble is quite simple and only takes four steps. Designers can upload images, GIFs, or videos. Along with an image, designers need to provide some basic information such as title, tags (up to 20), a short description, and indicating whether a work is available for sale, and it’s ready to go. The above fields illustrate the template for all shots. Tags, title, and description provide an opportunity to describe a shot, connect it to topics, and associate it with multiple categories. Tags also allow users to add appropriate keywords to categorize their shots in a non-hierarchical way. Tagging not only makes content easier for pe ers to discover, but also helps the users themselves to organize and navigate their own content. Like many other data-heavy platforms, such as YouTube, Instagram, and Slack, to name a few, Dribbble has determined that the best means of access to content is to allow the user to search for shots using keywords or phrases which rely on tags, title, and description. Immediately after submitting a shot, any user who discovers it can interact with it: save, like, comment, create a rebound (explained below), or even report abuse. These simple types of feedback from users provide indicators about how the shot is perceived. Dribbble also analyzes images based on views and number of rebounds. The above feedback markers are the main data that Dribbble takes into account to determine which content will be displayed on the landing page or upon a specific search query. Dribbble’s ranking system is purely based on number of likes, followers, and views. Because of Dribbble’s huge reliance on social ranking, many users complained of unfairness. Well-known designers were dominating the popular pages, and newbies were not able to get any exposure in the community. 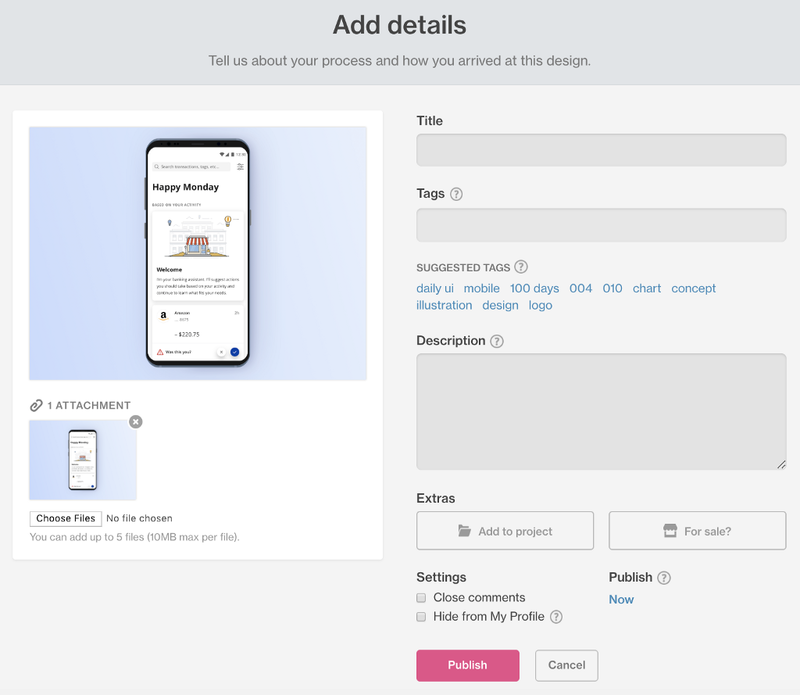 With the intention to solve this issue, Dribbble introduced a new feature called “debut” to highlight new members posting their first shot and make them more visible and easily discoverable. 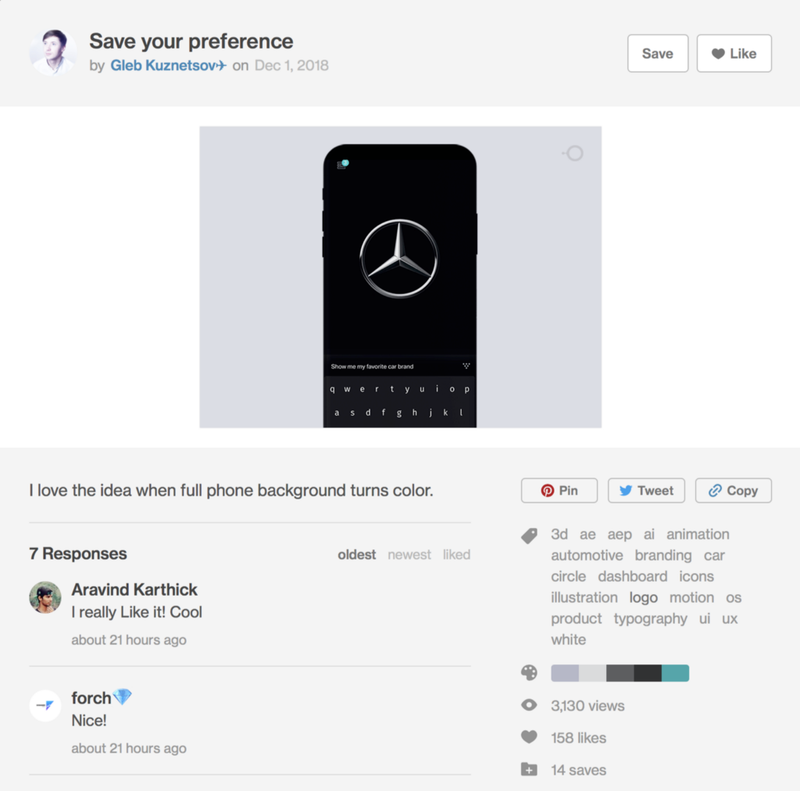 Another innovative affordance that Dribbble introduced was the color palette filter. As soon as a user submits a shot, Dribble generates color palette metadata. It allows designers to do visual research on how a particular color was used by other designers and to look at all shots that have that particular color. Another way that Dribbble groups content is the aforementioned “rebound.” The premise behind rebounds is very similar to the “retweet” concept on Twitter. A designer adds a shot in the form of a rebound if they want to create a response to or variation on another’s work. Rebounds add an extra layer to IA since they group similar shots together and allow users to search for similar shots and ideas to gain inspiration from. Since the platform allows players to leave comments on each other’s work, they can be the biggest incentive. Feedback is definitely an essential part of the design process, and getting it from an experienced design community just might be priceless. As mentioned previously, the Dribbble ranking system promotes the most liked, viewed, and commented-on shots at any given moment to the “popular” page. Appearing on the popular page will generate even more likes and will bring more followers, which in turn gets you more followers and more likes. As a result, the longer the profile exists — and not the better the work is — the more attention it gets. Introduction of the “debut” feature went a little way towards fixing this problem. However, this problem is a big deal that requires a big solution since for many designers and agencies, Dribbble is one of their most important sources of clients and income. The prettiest designs naturally garner the most attention, but very often they do not solve real problems, and many — despite their attractiveness — simply do not make any sense. Somebody who has more followers — but not necessarily better designs — can be more easily found by companies who are looking to hire. Also, Dribbble’s ranking system greatly influenced the community, and the initial idea of sharing design work in progress in order to get feedback from other designers was lost. The final pixel-perfect shots we re drawing more attention, likes, and comments, and as a result, totally upended the process. What is even worse is that many designers have switched their focus from getting feedback and improving their work to carefully cultivating the presentation of their shots to get their work noticed and acknowledged by others. Dribbble is a well-organized database of high-quality UI elements. It has a clean and simple layout and is growing faster than ever before. Whether the author is an expert in the subject. Likes and comments from a junior designer should be different than from somebody with a decade of experience. How many constructive comments the player has left. A rating system for likes can help to understand how valuable feedback is. Option to dislike or downvote shots and comments to impact the visibility of a content piece. Dribble has continuously evolved, and they’ve introduced many new features without breaking IA. From just being a website to share comments on each other’s work, it expanded into a platform for designers to gain inspiration, education, community, and job opportunities. And there’s still plenty of opportunities for them to improve, expand, a nd grow out. Dribbble IA Analysis was originally published in Prototypr on Medium, where people are continuing the conversation by highlighting and responding to this story.